Children usually exhibit fewer and shorter migraine attacks than adults, but this does not mean their migraines are to be taken lightly or dismissed. They can be just as disabling and can impact your child’s life quality. Sadly, migraines are quite common among children. In fact, kids as young as 18 months old have been known to show signs of migraines. As many as 10 percent of school-age children suffer from migraines. Half of all adult migraine sufferers report having had a migraine before the age of 12. Interestingly, boys have more migraines than girls before puberty. As they get into adolescence, girls take the lead in having more migraines (possibly related to changes in hormones). By 17 years of age, 8 percent of boys and 23 percent of girls have had at least one migraine attack. Migraines remain a mystery to most in the medical community. However, it has been seen that genetics and environmental factors play a big role. A child with one parent who has migraines has a 50 percent chance of getting them also. If both parents have migraines, the percentage rises to 75 percent. Over half of migraine sufferers have a close relative with the condition as well. 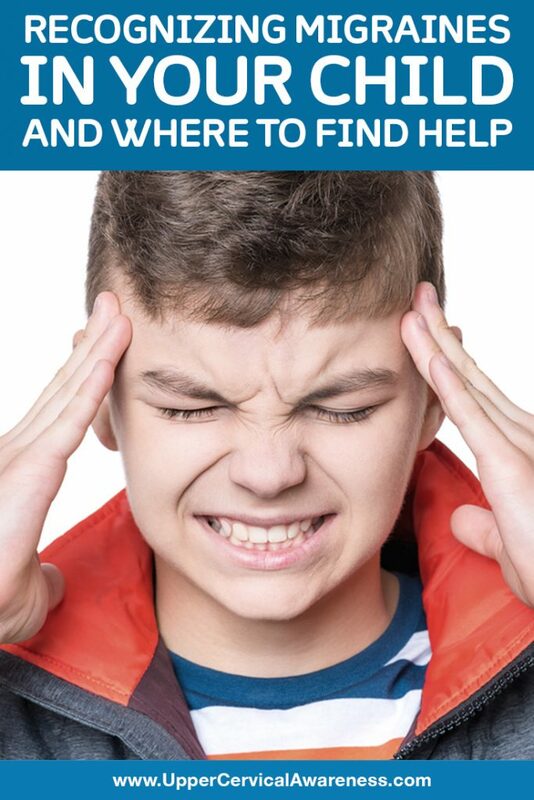 Although symptoms do vary and may be less for teens and kids, migraines are still disabling for those in this age range. We understand how migraines impact a child when they hit. However, what we do not always realize is the impact it has on them in other ways. Many kids develop anxiety and worry over the fact that they may have an attack that disrupts their life and causes them to miss out on social events. Kids who have migraines often miss many days of school and are unable to take part in after-school or weekend activities with other peers their age. Statistics show that kids with migraines are absent from school twice as often as those without migraines. Chronic migraines are difficult to care for, and they really impact life quality of the children that suffer from them. Interestingly, when it comes to ,head pain may be less severe than the other symptoms of migraines. Non-headache symptoms are called migraine equivalents and may include unexplained nausea or vomiting, dizziness, and abdominal pain. Children, as with adults, may or may not have an aura before a headache begins. Usually, this is a visual disturbance that comes on about an hour before the headache hits. Migraines without aura are much more common, though. Motion sickness and colic in infants may indicate a predisposition to getting migraines later in life. Most traditional care for migraines involves over-the-counter or prescription medications targeted at treating the individual symptoms (nausea or head pain). However, many parents are seeking out more natural and safer ways to care for migraines. Parents are beginning to see the practicality of upper cervical chiropractic care for their children. This is due to the fact that we use a gentle, precise method to realign the bones of the upper cervical spine, particularly the C1 and C2 vertebrae, that might be causing migraines to occur. These bones can misalign due to a sports injury, a trip and fall, or just a child’s roughhousing. We are not required to crack the neck or spine to get positive results, making the adjustment very safe for children and adults alike. Once these bones are back in alignment, blood flow to the brain and body can be restored, along with proper communication. This is often all that is needed to see an end to or an improvement in migraines.